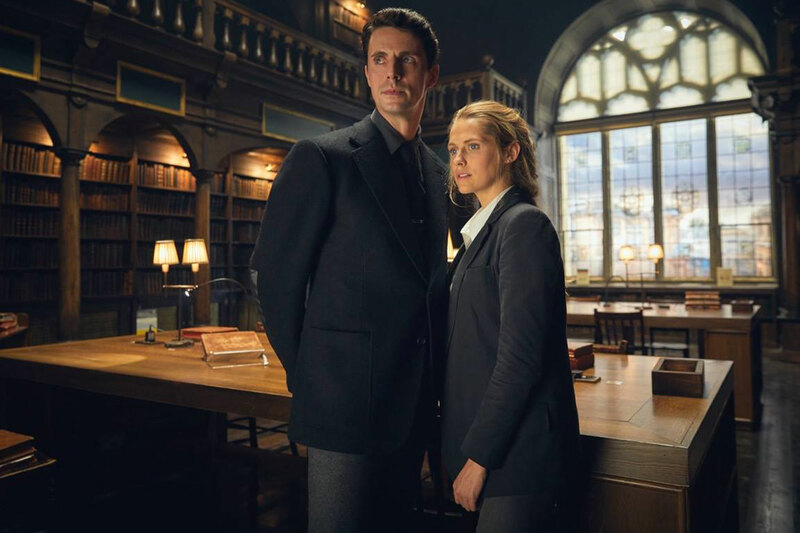 A Discovery of Witches is a rare thing – a television show about vampires, witches, and daemons who are, get this, adults! The vampires and witches who dominate the story are all out of their teens (actually actors in their 30s), but the fun parts still remain. 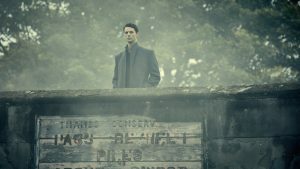 The mystery and romance is better than that of other television supernatural romances (see The Vampire Diaries) in that is has an element of joy to it as well, and lacks bizarre stalking and abusive relationships (see Delena), excepting the first episode before any relationship is established. This analysis is from the perspective of a viewer who has not read the books. Based on the show, it is also a feminist take on vampires, something we haven’t seen in a long time, or maybe ever. There is a relatively traditional set-up, the main character is a witch with normal human strength and the male lead is a vampire, but he doesn’t do much rescuing. She doesn’t need it. Episode 1 is written by Kate Brooke and directed by Juan Carlos Medina. We open in Oxford, England during the Autumn Equinox. 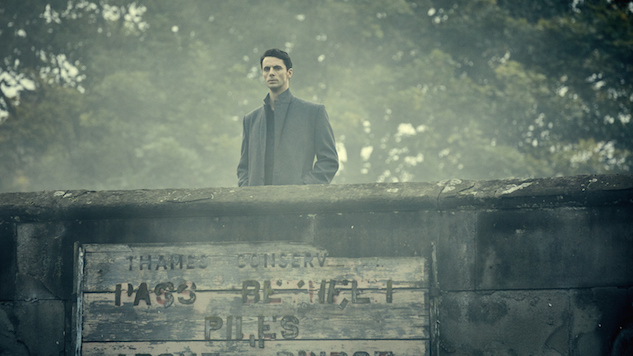 From the opening shot, a wide shot of Oxford, cutting to a man standing on a bridge as a rower passes beneath him, we know this is going to be a beautiful show. 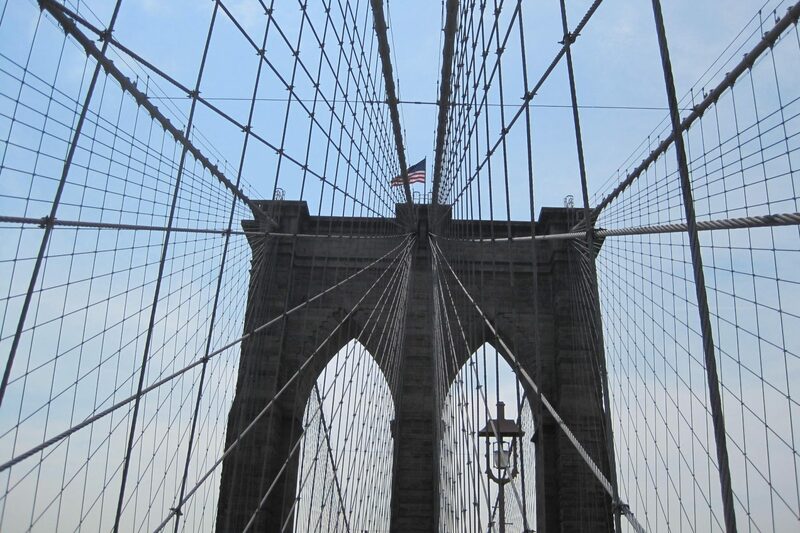 As you watch, almost every shot could be turned into a still photograph. That man is Matthew (Matthew Goode), wearing gray, and the rower is Diana Bishop (Teresa Palmer), wearing blue. The autumnal colors of oranges and browns make up the shot, with their clothing and Diana’s boat a colorful contrast. Diana goes from rowing to jogging as she walks through Oxford and gets ready for her day. She’s wearing an Oxford shirt. Before she leaves, she pauses to pick up a photograph of a couple. Her parents? Then she rides a bike to work, wearing a blue coat. From all that exercising, Diana is clearly fit. As she is locking her bike, her papers start to blow away, and as she says, “Stop” the papers all arrange themselves neatly. Diana is clearly the titular witch. She gives a talk on alchemy, where we learn that she is a very accomplished academic and alchemy is her specialty. She plans to study the manuscripts of Elias Ashmole, apparently manuscripts unique to the Bodlein Library at Oxford University. Everyone in this scene appears to be wearing different shades of gray. Diana meets an old friend, Gillian, who tells Diana she still hasn’t gotten a position as regular faculty. Gillian obviously knows Diana is a witch and invites her to an event with her coven. This is where we learn that Diana doesn’t use her powers much, seemingly because of whatever happened to her parents, and when she does, it isn’t always with her own control. Gillian mentions Sylvia, the head of the coven, as someone who might be able to help Diana gain control of her powers, but Diana shrugs it off. Another beautiful wide shot of Oxford with church bells ringing. Now we are in a church, where Matthew is standing alone near the altar in prayer. A religious vampire? A gorgeous still shot of Matthew in silhouette from behind. Back to Diana going into the Bodlein Library, requesting the Ashmole manuscripts. Sean, the man she gives the request to, is wearing a blue shirt with a gray vest. The request slips go through an old-fashioned tube system that is kind of cool, and a woman in the basement receives the requests. She goes to retrieve them and Ashmole 782 is not there. The librarian gets the other manuscripts and as she walks past again, she finds Ashmole 782 there as if it had been there the entire time. Gillian sees Diana in the library and says hello. As Diana puts Ashmole 782 on the book holder, there is an almost ominous sound. As she opens the book, the wind blows and there is another sound, the lights flicker, and we see Matthew feel whatever is happening. It’s making his heart beat, or at least his blood flow, neither of which is the usual for vampires. Diana turns the pages and sees that at least three folios (pages) have been removed from the book. It looks like they were cut out “either by straight edge or razor” as Diana describes it in her notes. The pages are blank except for some drawings/illustrations. However, as Diana turns the page, she notices writing that isn’t immediately visible. As she turns the lamp on it, the words start to appear clearly, like invisible ink being made visible. (Note for later, this is called a palimpsest). Then the words start to move all over the page and then as Diana touches the page, they begin moving onto her hands and skin. She quickly puts her hands both on the page, releasing whatever was happening and in the process burning her hand quite badly. Diana returns the book and leaves the library. On her way out, she bumps into a man and as she turns around to look at him, he is the man from the photograph earlier. Diana says “Dad?” confused and then calls out for him again. He’s gone. Matthew is outside the library, listening to everyone around him, trying to discern what happened. He hears Gillian asking Diana about the manuscript and if she felt whatever it was that happened that felt strange. Matthew now knows it was Diana who called up Ashmole 782. Marcus is walking home with a friend when the friend is hit by a car. We then learn Marcus is a vampire as he tries to turn his friend. It doesn’t work. Matthew tells his lab partner, Miriam (also a vampire), that it was a witch that took out the Ashmole manuscript. We learn that Ashmole 782 has been missing for centuries and Matthew has been looking for it for over a hundred years. He believes the book could help vampires understand their origins. When Miriam says it’s impossible that Diana found the book, Matthew suggests maybe the book wasn’t missing, but waiting. All of this leaves us wondering if Diana is much more powerful than she realizes or at the very least has a unique connection that gives her power regarding the manuscript. Diana calls her Aunt Sarah (Alex Kingston, amazing in the role!) and we learn that while Diana avoids magic, Sarah is a skilled spell caster. She lectures Diana for not trying to understand the book. Diana tells them that she thinks she saw her father, who would be Sarah’s brother. The camera cuts back to Marcus giving a statement to the police, while Matthew waits outside, listening to every word, clearly unhappy with the situation. When Marcus is free, Matthew leaves without a word. Once in the car, the father/son lecture begins, and this is where it gets interesting, as Matthew asks, “Did you even get his consent?” I don’t think I’ve ever heard of a vampire story where consent was an issue. It may be the #MeToo movement, but the novel the material is based on was written long before that began, so it is interesting and worth noting. This is a spot where we see a feminist take on vampires, where they aren’t just predators of attractive women, but have concerns about people’s autonomy, such as their consent to be turned into vampires. We now get into the important backstory as Marcus asks why the siring failed. Apparently this has been happening a lot. Matthew takes Marcus to his lab where Miriam is given the job of taking his blood. Miriam and Marcus have an awkward greeting. Do they have some sort of history? Rivalry? Jumping to the bar/cafe, we see Marcus as a “human” so to speak, as he expresses his regret about what he did to James final moments of death, making them moments of fear. Matthew and Miriam tell Marcus about the book, and Matthew is insistent that the witches can’t be in possession of the book, even going so far as to say they will take the book, if it comes to it. This is where we see an example of that feeling of being “ill at ease, even with each other” that Matthew talked about. There is however, another term for that which we will continue to see, and that is prejudice. Matthew has demonstrated a prejudice against witches. Back at the Bodlein, we see the “meet cute”, though whether it’s cute is debatable. It’s certainly interesting. Diana is reaching for a book on a high shelf and accidentally causes it to go flying over her head and down into Matthew’s hands, as he is standing right below her. “Yours, I presume,” are his first words to Diana. As Matthew goes to hand Diana the book, he notices her nasty burn. She observes he is a vampire, telling us as the audience that witches can sense or identify vampires in some way, sparing us the multiple episodes of the un-suspenseful suspense of whether Diana will find out that Matthew is a vampire and how she will react. We cut right to the chase. Matthew is a vampire. Boom. Diana is wary, taking the card Matthew offers. He then gives a borderline seductive review of some of her work, also observing that she used her powers in public, a big no in the witching world. He observes Diana’s lack of control with a slightly amused smile, as Diana tenses up about his correct observation. We cut to Gillian, who is drinking white wine, in contrast to the vampires who were drinking red wine. Does the wine signify witches versus vampires? Good intentions versus bad? Diana is in a cafe googling Matthew when he walks in and is clearly aware that she is looking him up. Diana is on to him. She knows Matthew showed up at the library to look for her. She asks Matthew what he wants. He inquires about Ashmole 782. Matthew tells Diana that she would be safer if the creatures knew the book was returned to the library, and we get a brief glimpse of Matthews character in seeing his surprise at Diana asking him if he’s threatening her. He sees it only as a warning to help her. We get an exposition dump when Diana asks Chris, from the library, to get a drink. She tells him that her parents were murdered on the Ukraine/Russia border because the villagers thought they were witches. Then a big jump to Finland and some new people, none of whom look particularly friendly. We see a man we will learn is called Peter Knox escorting another man in a fur hat with a gun to a small cabin on a lake. Knox hangs behind a tree while the man aims the gun and walks towards the house, clearly hunting whoever is inside. He goes back outside and the woman who lives in the cabin, Satu, shows up and creates a fire circle around the man and then the earth swallows him up. She looks at Peter Knox, and there is a distinct impression that she was being tested. Knox states that she has passed and he invites her to join the congregation. Back at the Bodleain, Matthew has arrived before Diana and requested her normal table. As Chris seats her with her manuscripts, Goode plays Matthew with such a sense of humor. Matthew is a character that could be played very seriously and humorlessly (hello Twilight), but Goode puts an entertaining edge on Matthew in almost every scene, this one in particular in this episode. Matthew’s lightness draws out some humor in Diana as well as she makes a somewhat snide comment about the sunlight, He tells Diana that he thought she might like some company because the library is full of creatures that are waiting to watch her to see if she can or will call up Ashmole 782 again. 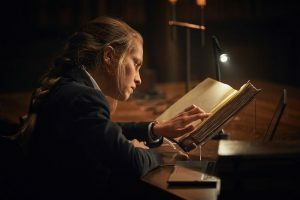 Outside the library, Gillian catches up with Diana to ask about Matthew, and we learn that vampires “hate witches as much as we hate them.” It is very clear by now that the different creatures have prejudices against one another. It’s not just Matthew. A great character scene follows as Diana stops to get a coffee before going back to her rooms to work. (I have no idea why they refer to her rooms in the plural. If it’s multiple, wouldn’t it just be an apartment, or a flat as they are in England?) She is reading a book while standing in line, and Matthew is watching her from a distance. She is so engrossed in what she is reading that she doesn’t notice the line move forward around her. The camera cuts to Matthew, who seems to be a little amused, like he finds her distraction endearing. She then looks up and directly at the place where he was standing, as if she can feel him looking at her. Can she? Diana is running and rowing in blue again as Matthew takes the opportunity to watch (stalk?) her trying to find the book. He breaks into her rooms while he knows she’s out rowing and he still finds nothing. But it seems he really wants this book. Meanwhile, Peter Knox shows up to meet with Gillian to hear about the disturbance surrounding the Ashmole manuscript. He asks Gillian her friends name, and she only hesitates a little before giving Diana up entirely, though it’s obvious Gillian is intimidated by Knox. Is she scared of him? Returning to the boathouse, Diana drops her jacket. Inside, she turns around to find Matthew waiting for her. He is demanding in his request for information about the book. She says she returned it, he says he doesn’t believe her. She is insistent and he does seem to come to believe her. 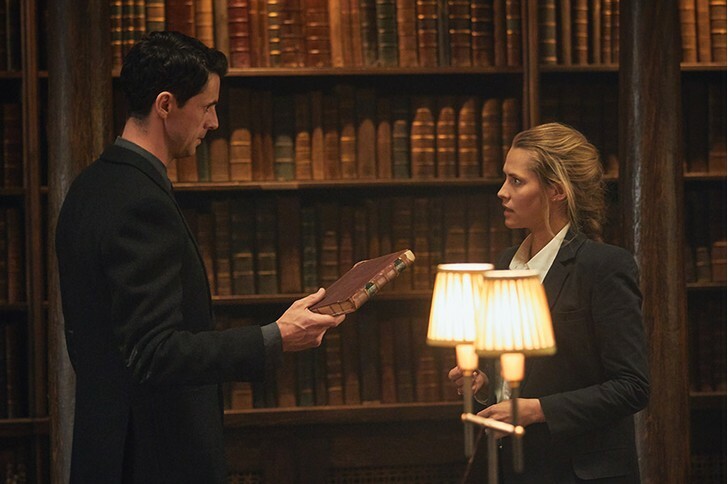 He tells Diana that no one has been able to find the book for centuries. He suggests that it’s strange that the only person to call up the book is a witch who can’t control her powers. Doesn’t she want to know why?